Include all chapters and sub-chapters of your work there. In the dissertation outline, add some content explaining the most important ideas presented in the particular chapter. In this way you will be able to take a look at your dissertation as a whole. It is better to read it in the course of two or more days. Now think whether the text corresponds to the main idea of your dissertation. Do you think that you can construct your dissertation abstract relying on this text? Advice: you can always add new pieces of text here. As it was already stated, it is not possible to render all the information in a proper way when the information is to be significantly reduced. Hence, you can read the dissertation again and find new sentences or paragraphs which may seem important. To rewrite means to use other words and phrases which render the same meaning and can easily reveal your point of view. In all cases, you should not change all the words, especially the terms which are typical of your field of research. You are also allowed to insert the original formulations of your thesis, arguments, or other important phrases in the dissertation abstract. It means that the abstract should not introduce new ideas, arguments, theses, data, etc., which are not mentioned in the dissertation. It should not put additional emphasis on ideas or assertions which are not emphasized in the dissertation as well. 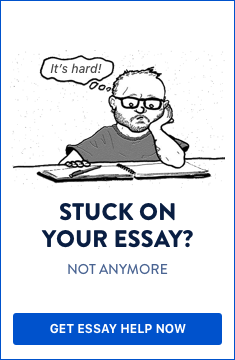 In case that you do not follow this principle, it is possible that your dissertation abstract will be rejected and you will need to write another one. Having written your draft, you can revise it and check whether you have not omitted anything important. Try to polish the style of the dissertation abstract and check whether its sections are interconnected in a logical way. The length of the abstract is also a matter which needs close attention. At any rate, a 200-page dissertation should not have an abstract longer than 10-12 pages. Even 12 pages seem too much for such a dissertation, but let’s stress it again - this depends on your personal style of presenting information. In conclusion, do not underestimate your task - start writing the draft as soon as possible and do not waste your time!